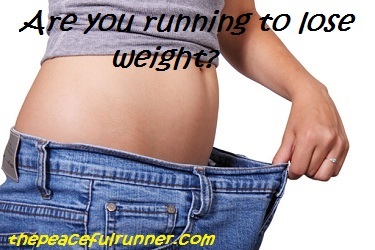 Are you Running to Lose Weight? Running to lose weight seems to be one of the more popular reasons why people start running. I admit it was one of the reasons I starting running. I had no idea that I would love it so much and become so addicted to just getting out there and pounding the pavement every week! I was surprised and delighted to discover what a social sport it has become. The camaraderie felt in running groups often develops into friendships both on and off the trails. I love the simplicity of running. What other form of exercise can you partake wherever and whenever you want, alone or with a group, and the only essential equipment is a pair of running shoes? Many are surprised, as I was, that the weight didn't just fall off. There could be a number of reasons for this. As a beginner runner, the distance covered is quite short and the pace is usually quite slow. At this level, only a small portion of calories is burned and new runners often experience an increase in appetite and very little weight loss. As a beginner runner, it is important not to increase your food intake or you will probably gain weight. Try to eat real, unprocessed foods and avoid sugar. Running to lose weight is an effective way to lose weight, but it won't happen overnight. It requires a commitment to your long term goals. As your running progresses, you may be losing fat but gaining muscle. The weight scale will not show you this, so you will need to find another way to measure successes achieved while running to lose weight. Take out those old jeans that haven't fit you in a while. Use them to measure your progress. Alternatively, you could take and record your measurements and check them again in a few months. The strange thing about running and weight loss is that they go hand in hand. As your running performance improves, it will become easier to lose weight. As you lose those extra pounds, your running will become easier and your running performance will naturally improve. Maybe you have fat triggers that are preventing you from losing weight? Learn how multiple fat triggers can affect your weight. Increasing your metabolism will help you achieve your goal of running to lose weight. With improved metabolism, your body will burn more calories throughout the day, even when you are not running. It is important not to do things that will impair your metabolism, such as restricting your calorie intake too much or skipping meals. These activities can put your body in starvation mode, which in turn reduces calorie burning, stores more fat and reduces muscle mass. 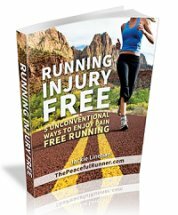 In this condition, it will be impossible to lose weight or to improve your running. Studies show that shorter, more intense runs will increase your metabolism. Longer runs may burn more calories while running, but because you will reach a higher metabolism level, the benefits of these intense runs will last throughout the day. Have smaller, more frequent meals. This will keep your body at a higher metabolic rate as it keeps your energy levels high and in a fat and calorie-burning mode. Keep a regular running schedule, which includes three to four runs per week. A regular schedule will increase your metabolism and keep it at a higher, fat-burning level. Has Your Weight Loss Reached a Plateau? It sometimes happens when running to lose weight that the weight loss stops even though you are eating right and running regularly. You have reached a plateau. When this happens, you need to make a change in your routine. 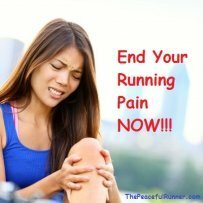 You are probably doing the same runs every week - the same distances at the same speed. You can try running longer distances or adding speed or tempo runs to your routine. Also, try doing strength training exercises at the gym to increase your muscle mass. An increase in muscle mass will boost your metabolism and get the weight loss going again. For some runners it may be necessary to follow a weight loss program. If this is the case for you, I would suggest Weight Watchers. 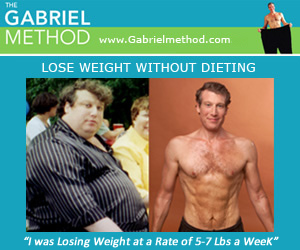 It is a simple program that uses real food and it works. I became a lifetime member over 25 years ago and I still refer back to it when I need to. They have an online program and local meetings in many areas and many countries. Another method that I have not tried, but I would recommend because it is non-diet and takes a mind and body approach to weight loss. It is called the The Gabriel Method. If you are running to lose weight, try to put your focus on running and feeling good about yourself. Don't dwell on those unwanted pounds. Anyone familiar with the law of attraction understands that focusing on the weight you want to lose will cause you to gain more weight. Whatever you focus on will increase! I have seen this pattern quite often and you probably have as well. Chronic dieters focus so much on the weight they want to lose that they deprive themselves completely of the foods they love. They become depressed, frustrated and then binge out to try to feel good again. After "the binge," they feel guilty, frustrated and angry at themselves and then start dieting and depriving themselves once again. This cycle goes on and on and there is no weight loss, just an unhappy, frustrated and perhaps, even heavier person. Running to lose weight, like other sensible weight loss programs, requires patience and perseverance. Focus on the person you want to become and start to act like that person. Decide that you are going to eat sensibly and enjoy the foods you love in moderation. You are not going to overeat. You stop eating when you are full because you don't like how overeating feels. Your body deserves to be treated well. Try mindful eating. It will not only change your relationship with food, it can change your whole approach to life. Sometimes there will be special occasions and you will probably indulge a little more than normal. We are human after all, but these are "special" occasions and "special" occasions don't occur every week! 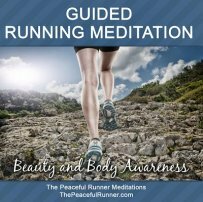 Be happy and grateful that with running and your new attitude towards food, you are going to look and feel your best ever. “Tapping” or “Emotional Freedom Technique” (EFT) is a form of psychological acupressure, based on the same energy meridians used in ancient Chinese acupuncture practices, to treat physical and emotional ailments for over five thousand years, but without the invasiveness of needles. Tapping is also an incredible tool for weight loss, because so often the weight that we hold on our bodies is actually caused by stress and stress hormones forcing our bodies into fat storage mode. Essentially, tapping unblocks energetic points on your body that may have been holding you back from success and abundance. Lose weight and melt stress away with this simple Tapping Technique.